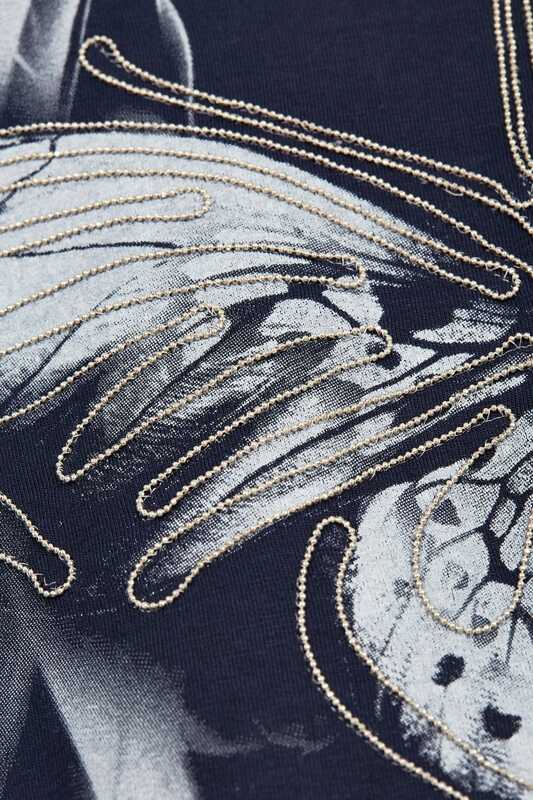 Add a touch of sparkle to your daytime look with this relaxed top. 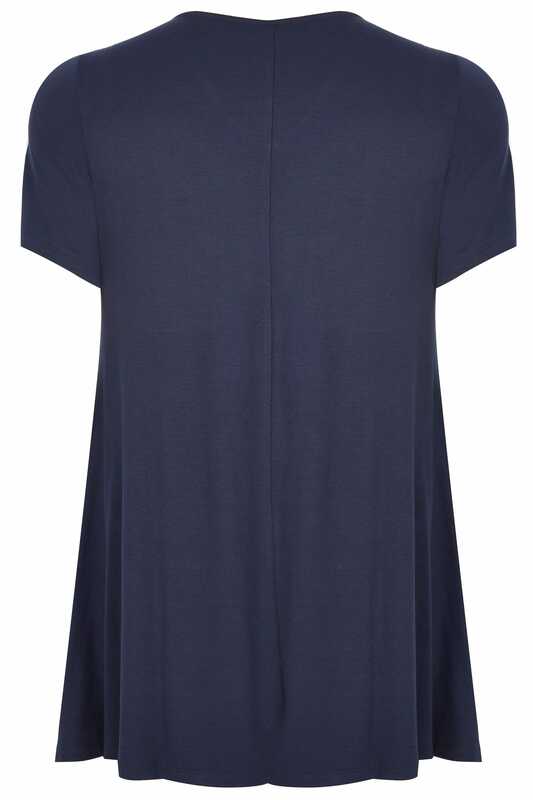 Made from a stretch jersey fabric, it has been cut in a shape flattering longline style and features a simple scoop neck and short sleeves. 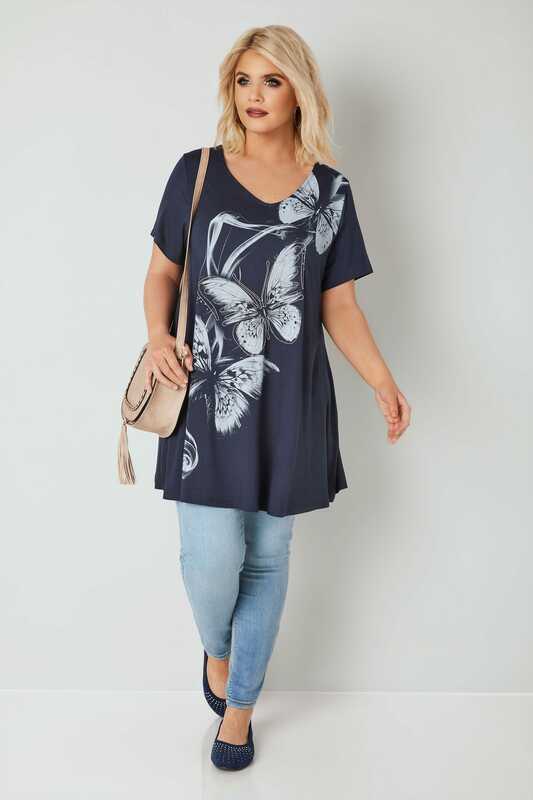 Team with denim and flats for an easy go-to style. 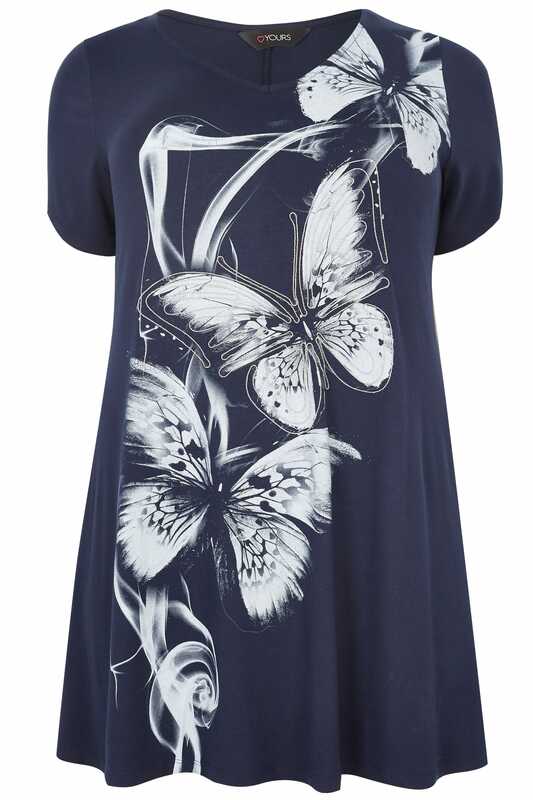 We love the butterfly print elevated by beaded embellishments.